Putting the ‘rose’ into Rosé wine. What is the secret of creating a gorgeous, rosy Rosé? 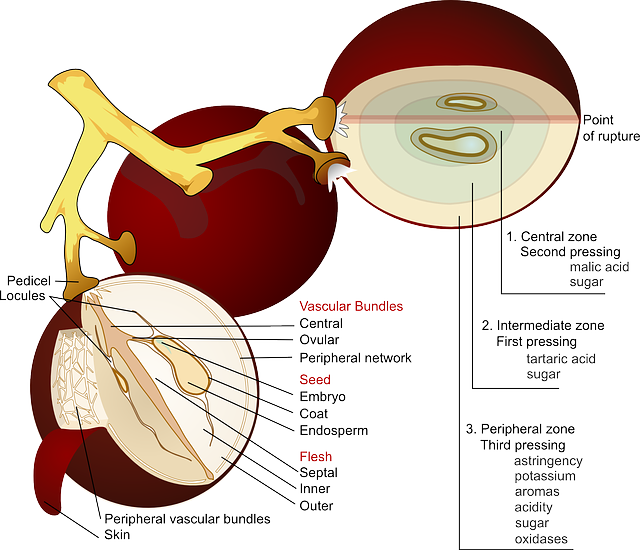 First, we need to begin with a short lesson in grape anatomy. Inside each berry, is a mixture of juice, pulp and seeds. Except for a very few varieties, (known as teinturier) the juice is colorless. What makes a ‘red’ wine ‘red’ is the juice’s contact with the skins. And what makes a Rosé pink is limited contact with those skins. 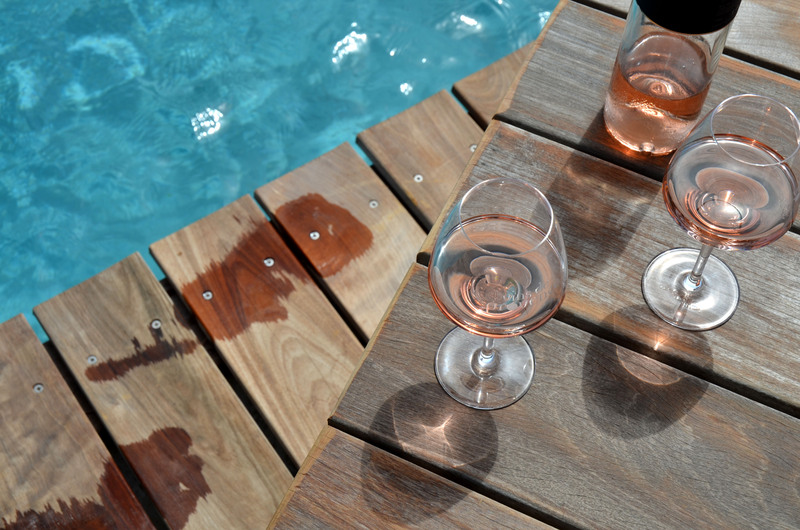 Myth: Rosé wines are just red and white mixed together. In truth, the only region where this is done is in Champagne. Here they are allowed to blend red and white, but nowhere else! In essence, any red skinned grape may be used and in some regions, a small amount of white may be added. As I mentioned in a previous post, “Fifty (Plus!) 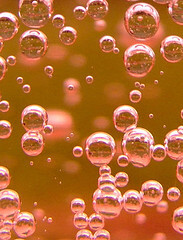 Shades of Pink – the Many Hues of Rosé Wine”, there are two standard means of producing a Rosé wine: Direct Press and Saignée. Lets take a look in a bit more detail. As soon as the grapes arrive at the winery, they will be placed into the press, either still in their natural clusters or with the individual berries removed from the stems. Once inside the press, the winemaker will keep a watchful eye on the juice, checking the color. The most popular style of press is called a bladder,or pneumonic, press. An inflatable bag or bladder, can be programmed to slowly expand inside the machine, gently pressing the grapes and releasing their juice. As the fluid comes into contact with the skins, the color, tannins, and flavors from the skins will leach into the liquid. This process can take anywhere from three to four hours. When the pressing is complete, the light pink juice will be pumped to a tank where it’s allowed to rest and any bits of skin or other matter can settle down to the bottom; a self filtering, if you will. Fermentation will take place either spontaneously or with the addition of yeast and production will continue as for a regular white wine. Rosés made in this method are traditional in Provence as well as many other regions, and produce a finished wine that is extremely aromatic and delicate in color. Direct Press results in a Rosé wine. Period. Finite! Saignée, on the other had, will yield two wines in one. 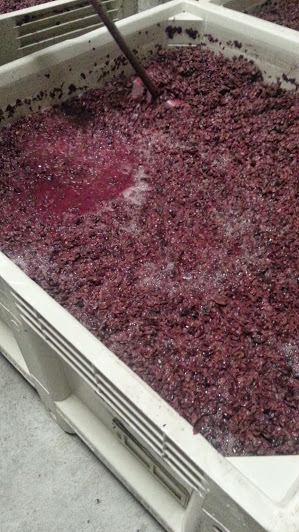 The grapes are destemmed and crushed then left to macerate just as if a red was being produced. After anywhere from two to twenty hours, the winemaker will ‘bleed’, or remove, some of the juice and use that to make a Rosé that is often darker and less ‘perfumey’ than the Direct Press method. The remainder of the must (mixture of crushed grape skins and juice) will become a red; most likely a really full-bodied and concentrated red. Did you know? Another name for this process is ‘Rosé de Nuit’ (Rosé of the Night), stemming from the fact that the juice and skins were often left overnight before the juice for rosé was removed. These are the two traditional techniques, but like everything, there are always alternatives and variations. Many ‘New World’ winemakers will crush the grapes and then let the must sit in the press until the perfect color is achieved, at which time they start the press and separate the juice from the skins. This is called “Cuvaison Rapide’ or rapid soak. So, how does the winemaker decide which ‘modus operandi’ to use? Some winemaking regions, such as those in France, Italy, Spain and other ‘Old World’ countries, have laws that dictate what type of production is to be used. In other areas, factors like grape variety, ripeness and wine style are more likely to influence the decision. And sometimes, both methods will be employed. A winemaker may use one technique for some of the grape varieties in a blend and alternate process for others, resulting in a rose that reflects the best of both styles. Did you know? In Provence, there are two styles of Rosé. ‘Vins de soif’ or thirst quenching wines are the style most often associated with ‘Apero’ or Apèritifs: light, refreshing and crisp with no oak and lots of bright fruit. ‘Gastronomic‘ are more full-bodied Rosés, that may have seen some time in oak barrels. These are more ‘food-friendly’ versions and great with your meal.